Friends of Type was invited to design skateboard decks for donation at Bordo Bello’s annual show in Denver, Colorado. 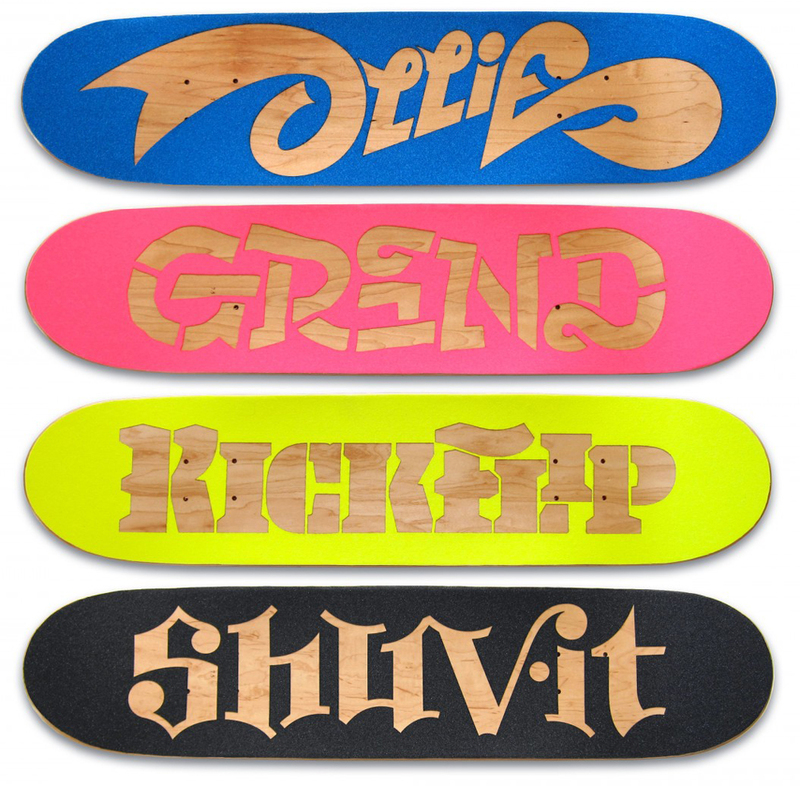 Aaron, Dennis, Jason and I came up with the simple idea of lettering up four basic skate moves which were then laser cut out of different colored grip tapes. Laser cutting by Jason Lefton of BIG SECRET.